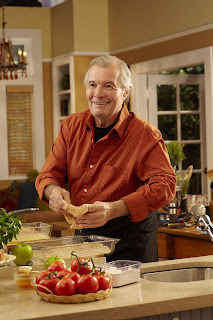 Last week, I got a chance to sit down and call celebrated chef, television personality, author and Connecticut shoreline resident Jacques Pépin, to learn more about his upcoming television show and accompanying cookbook, Essential Pépin, debuting in 2011, and get a greater sense of his involvement in the Food Network 2011 Wine and Food Festival. Jess: Jacques, thank you for taking the time to talk to me today. I have a few questions about the Food Network NYC Wine and Food Festival. The festival’s proceeds are divided entirely between the NY Food Bank and the Save Our Strength program. How did you choose to lend your support to this benefit and its charities? Jacques: Well, I think chefs in general do give a lot of their time to charities. It seems that everything is kind of filtered through food, you know? Whether it’s battered women or cancer, you name it, it makes it easier when you do a dinner. People give more money. I think about 50% of the events I do are for one charity or another. Jess: So you’ve participated in this in past years? Jacques: Yes, for the Food Network, I have done the one in Aspen probably 27 or 28 times. I have done the one in Pebble Beach as well. The last show was probably the 5th or 6th time for me. But the one in New York will be my first. Jess: That’s exciting! And you’re participating in this tribute dinner for you and Prince Robert on October 1st as well! Jacques: Yes, I’m there with the Prince of Luxembourg…I can’t even believe it! Jacques: Yes, Daniel Bouloud, Alain Ducasse, Laurent Gras. They’re participating for the dinner to help generate money for the charities. It’s in conjunction with Les Dames D’Escoffier, which my wife used to be a vice president of, and that organization does a lot of fundraising and things like that to raise money for scholarships to send female culinary students abroad to learn cooking. So that’s a good thing. Jess: Yes, that’s fantastic. So, you’d ideally like to see attendees at this dinner take a greater sense of awareness and contribution for the charities involved, yes? Jacques: Yes. I’m also doing a demonstration the day before the event at Chelsea Pier, Pier 60, and I will go to whatever is going on, book signings and things like this, to promote this. Jess: So, since this is both for you and Prince Robert, have you been enjoying a lot of Haut-Brion with your cuisine? Jacques: Of course, I’ll drink the Haut-Brion but I’d never insult a great wine like that by cooking with it or putting it in any dish! Jess: Oh, god, no! Phenomenal wine, though. So, speaking of wonderful wines, how do you like to incorporate wine into a dinner or a meal to enhance the cuisine? Jacques: It’s a big part of our [French] cuisine and of course, I do enjoy wine when I am cooking, so I do use a fair bit of wine in my cuisine, but with fish, a white wine is always welcome. It works well with it, and so that’s a fairly common ingredient that we use. Jess: So, I see that you’re starting a new show and releasing a new cookbook this fall, congratulations! Jacques: Thank you. In this new show, I focus on about 150 recipes out of that book, which contains about 750 recipes, and we did 26 episodes which will come on the air about the same time that the book is published, around mid-October, November. And what we have in the book that is very exciting for me is a DVD inside the front cover, which has about three hours of technique, from peeling an asparagus to boning a chicken to making an omelet or whatever. So those are especially for young people. I think that nowadays people like to look at videos rather than just pictures in a book, so that’s why we went with the DVD. Jess: That sounds like it’s going to be a really good stepping stone for budding chefs starting out into culinary basics. Jacques: That’s right, because the DVD is not necessary for that book, it can be used with any type of dish that you want to make. It teaches the skills and the techniques, sharpening a knife, doing a puff pastry, and so forth. So that can be used in any cookbook that you use. I did about 250 drawings for the book to illustrate and keep the price down. I think it’s a good price, about $40 for the book and the DVD. Jess: That should be an excellent staple in home kitchens. So, are there any new or especially different recipes we can look forward to? Jacques: Well, it’s more of my life through food, a young adult to an adult to an old man! If I published all of the recipes I’ve made since I started cooking there would would probably be about 2,000 recipes. So I have about 750 recipes which kind of exemplify “ma vie” or my life since I started. So it was an interesting thing for me to do and ended up being more work than doing an actual book because at some point, I said, “Do I leave the recipes the way they are, or more in the style now that people can use them?” and I went for the second option. So I have a lot of revision to do, readjusting the time of cooking, the type of fat we use and the amount of it and so forth. Jess: So do you think that a lot of people are really getting more into classic, traditional food preparations despite the trends in the restaurant industry? Jacques: It’s possible, but you know, classic is a different thing for different people. The dishes you have as a child, the dishes that are a part of your family, those are classic in the sense that they will always be in your kitchen. I do have some of the recipes we use to do at Le Pavillon in New York and so forth, the old classic French recipes. But sometimes I will do those with a black bean soup with banana in it. I do that because I like black bean soup and banana because my wife was born in New York from a Puerto Rican mother and Cuban father. There is a lot of influence from all my life and from different people, so there is a little bit of everything in those recipes. Jess: Excellent stuff. Well, thank you so much. I appreciate your taking the time to talk to me and answer some questions! Jacques: Well, thank you for calling. Good luck in your pursuits! Special thanks to KQED’s Scott Walton for facilitating this interview, and, of course, a grateful merci to Monsieur Pépin himself! Tickets for the tribute dinner, as well as many other fantastic and special events at the Food Network NYC Wine and Food Festival can be purchased at www.nycwineandfoodfestival.com. What a nice interview, congratulations! 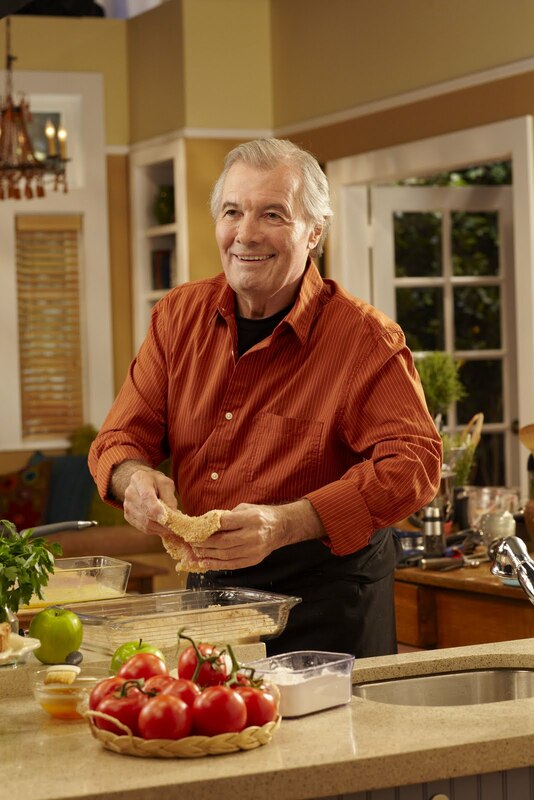 Chef Pepin is a classic. He continues to inspire and I can’t wait for his latest tome! Impressive interview-looking forward to his new book!